Tree surgery and tree pruning is far from the simple operation it’s often imagined to be. You need a skilled tree worker with an expert understanding of tree biology and structure to make sure this natural process isn’t put at risk when you make the pruning cuts. Downlands’ experts have that practical knowledge and experience. removal of deadwood, and potentially hazardous branches. crown thinning to reduce the density of the trees crown. crown reduction to reduce the height of a tree that is outgrowing its position. Over the years, we’ve discovered how trees not only thrive in urban environments but also how, with proper care, they can be beneficial to us. 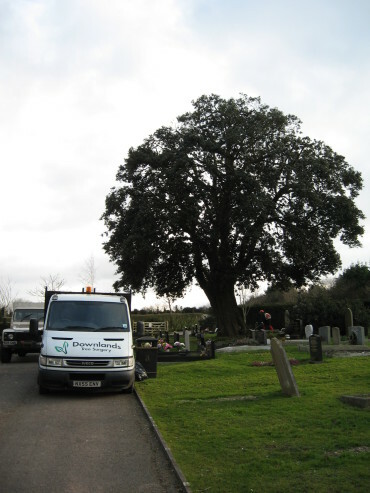 All our work remains sympathetic to both your needs and to the health of the tree.